Yet another splash page, this is one I've had sitting on my desktop for months and I've been itching to upload it as it's one of those instances where I'm actually happy with how it came out. 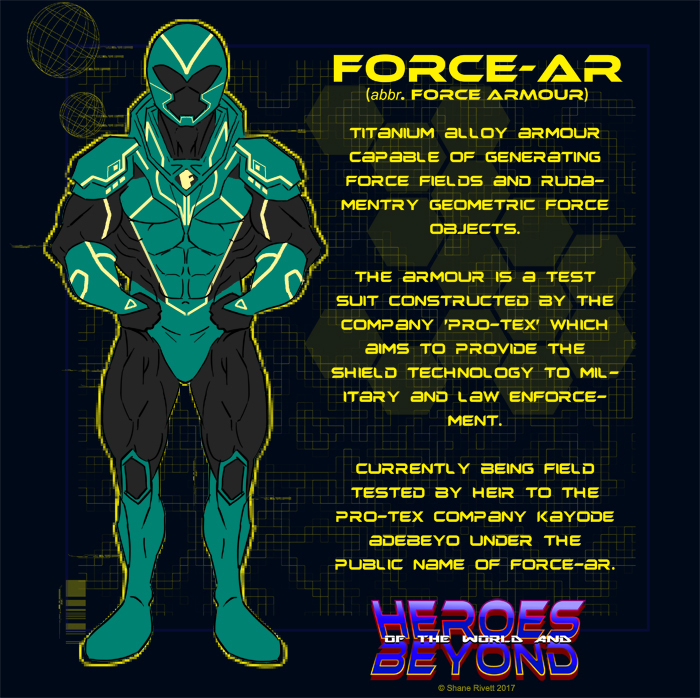 The yellows of the train and ambers of the force field complimented each other, while the green suit of Force-Ar contrastst the other colours and makes him stand out. 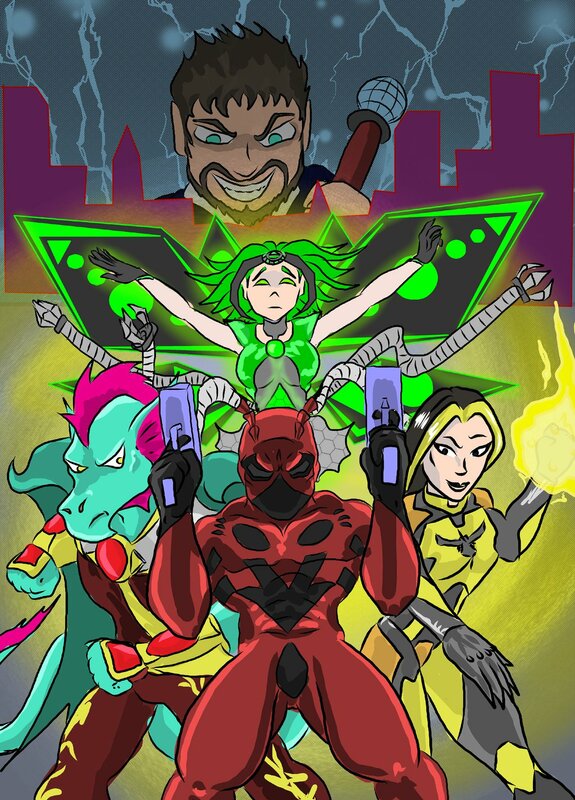 December's Deviant Universe project was to do a cover image using 5 characters from the group, and bjatkinson kindly added GI Ant to his work. Thanks bud. The next project is a solo story with Gi Ant so this will be uploaded in to HOTWAB Universe over Jan-Mar. Also, a bleated Happy New Years to you all! Nice to see Force using his wits and tech to save the day, well done.